The off-season is not the only time for change and improvements at Waldameer and Water World. Throughout the summer, several mini-projects take place to continually improve and enhance the guest experience. We thought we would share a couple of the most noticeable changes. Where has the Blue Train gone on L. Ruth Express? You may remember the Red Engine as part of the 2011 expansion which included the North End area. You may have noticed that our Red Train, formally named L. Ruth Express I, has been the primary train in service since late July. 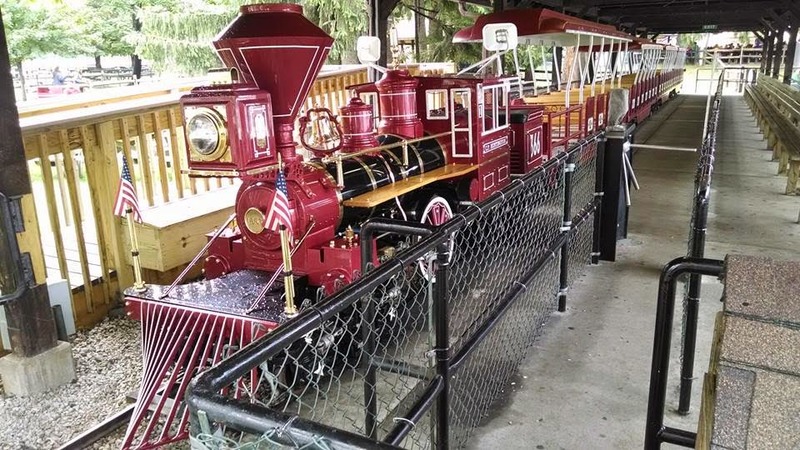 The Blue Train, L. Ruth Express II, has not left Waldameer, but is simply taking a short break and operating as the second train on busy weekends. With only one full season of full-time operation, 2011, Red Train has some catching up to do. Why is this you might ask? The Red Train recently underwent an upgrade which included a retrofitted wheelchair accessible coach. 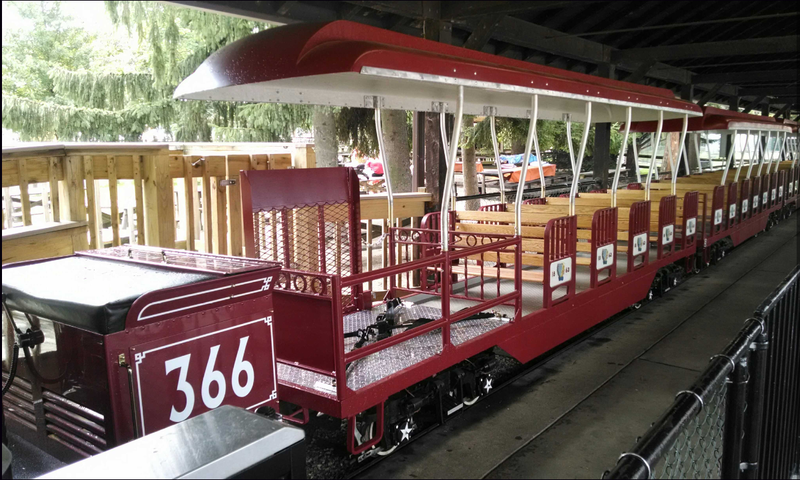 Now guests using wheelchairs can easily access both the Red and Blue L. Ruth Express trains. In addition, a new PA system and new LED coach lights have been added giving the original L. Ruth Express coaches a new lease on life. Due to being regulated to only weekend use in 2012, 2013, and most of 2014, the Red Engine has less mileage than the Blue Engine, so we will exclusively use the Red Train until both trains have equal usage. In the future, the Red and Blue trains will equally exchange operating days. Enjoy a much needed rest Blue Train! The newly retrofitted wheelchair accessible coach. A More Spooky Bar Scene. As you come jostling out of the Tilted Room in Whacky Shack, you may have noticed more activity in the Bill Tracy's original Bar Scene. With the assistance of the Shack's new primary caretaker, Mark, Matilda is back to her original spinning ways on her bar stool greeting riders with her wretched appearance. Would anyone dare to join her? While these changes may seem subtle, the piles of blueprints are quickly engulfing desk space in the Park Office certainly are not. Prepare to be amazed in the coming months as the largest investment in Waldameer and Water World's 118 Year History begins to take shape.